The Applied Comfort SC PTAC is an OEM replacement for the Zoneaire S series PTAC unit. The original Zoneaire unit was manufactured under several brand names including Zoneaire, Wallmate, Embassy Weather Twin, TPI, and others. The "S" series is a 36" unit with left hand controls. It is avalable in 115V, 208/230V, or 265/277V configurations. 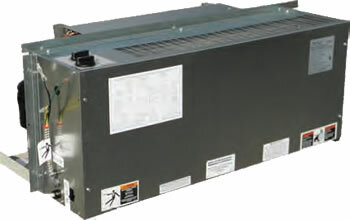 Models include electric strip heat, heat pump, or hydronic heat to suit any application. Cooling BTU's range from 9000-15000. 1 year comprehensive parts and labor. 2nd to 6th year sealed system parts only including compressor. Shipping of parts is covered to any location in North America. 2nd to 6th year sealed system parts and labor including compressor. 2nd to 6th year parts only.